The festival’s main exhibition is open to participants throughout the world. Submissions will be juried by a panel of internationally accomplished members of the highly respected street photography collectives, In-Public, Strata and Calle 35. Some of the criteria that will be considered in the selection process include, but not limited to: • Does it fit within the realm of street photography? • Authentic representation of scene without use of digital darkroom (see exceptions) • Is it compelling?• How unique is the depiction? • Does it suggest a narrative? Do we want to know more? • Is there empathy for the subject matter? • Originality• Composition • Is the image powerful or predictable? 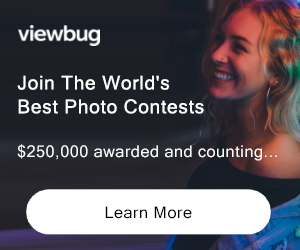 Submit only .jpg/jpeg files , no more than 1000 pixels on the long side, at 72dpi, and no larger than 2MB Not eligible to enter? - Find contest where you are. COPYRIGHT: You agree that the photograph does not infringe on the copyrights, trademarks, moral rights, rights of privacy/publicity or intellectual property rights of any person or entity, and that no other party has any right, title, claim, or interest in the photograph. All images remain the creative and intellectual property of the author. The Miami Street Photography festival fully supports the rights of photographers. USAGE RIGHTS: With your submission of any image, you grant the Miami Street Photography Festival permission to utilize that image for two years for promotional purposes only, including but not limited to worldwide festival promotion. The Miami Street Photography Festival and its affiliates will not be required to pay any additional compensation in connection with such uses. You, as the photographer, will always be credited, and at no time will your image be used for commercial purposes. As a not-for-profit 501(c)(3), any moneys generated from items such as catalogues will go directly to support the festival.